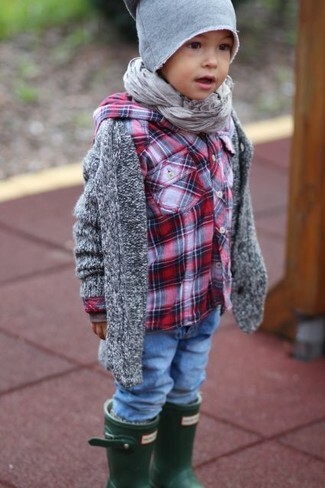 Suggest that your son wear a grey cardigan and an Autumn Cashmere little girls girls wool blend unisex glasses beanie from Saks Fifth Avenue for a comfy outfit. Dark green rain boots are a great choice to finish off this look. 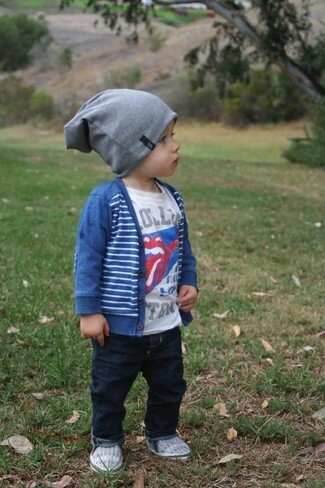 Suggest that your little man team a charcoal t-shirt with a grey beanie for a comfy outfit. 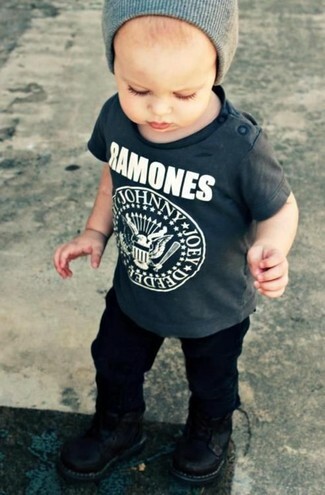 This style is complemented nicely with black boots. 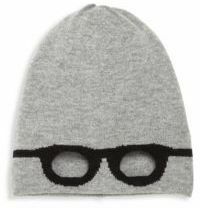 Suggest that your little one reach for a grey t-shirt and an Autumn Cashmere little girls girls wool blend unisex glasses beanie from Saks Fifth Avenue for a comfy outfit. Tobacco loafers are a smart choice to complete this outfit. 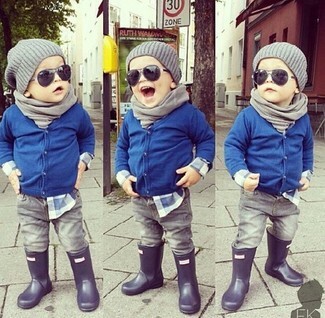 Suggest that your child go for a blue cardigan and an Autumn Cashmere little girls girls wool blend unisex glasses beanie from Saks Fifth Avenue for a laid-back yet fashion-forward outfit. 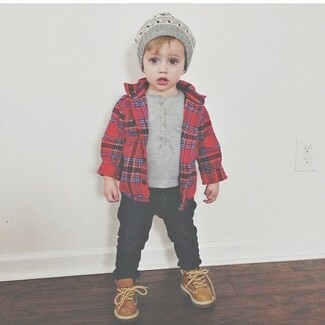 As far as footwear is concerned, suggest that your child go for a pair of grey sneakers. A red long sleeve shirt and an Autumn Cashmere little girls girls wool blend unisex glasses beanie are a go-to outfit for lazy days when you and your little angel don't want to do anything special. The footwear choice here is pretty easy: complement this style with tan boots. Suggest that your darling wear a grey blazer and an Autumn Cashmere little girls girls wool blend unisex glasses beanie from Saks Fifth Avenue for a laid-back yet fashion-forward outfit. This look is complemented really well with brown boots. 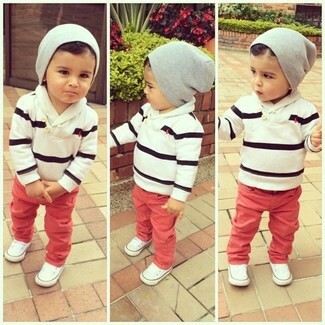 Go for a white and black horizontal striped sweater and an Autumn Cashmere little girls girls wool blend unisex glasses beanie from Saks Fifth Avenue for your little guy for a fun day out at the playground. As far as footwear is concerned, let your kid grab a pair of white sneakers. 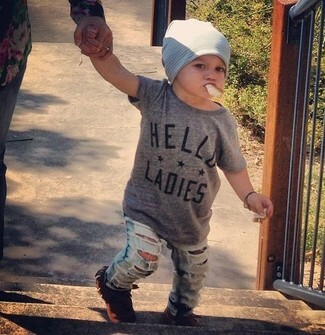 Reach for a black sweater and a grey beanie for your little angel for a comfy outfit. 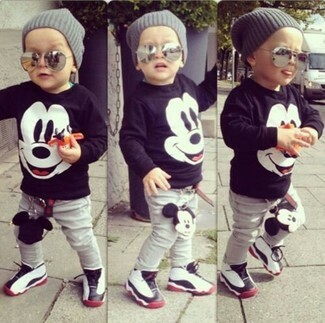 As for footwear your little one will love white sneakers for this getup. Suggest that your tot choose a blue cardigan and an Autumn Cashmere little girls girls wool blend unisex glasses beanie for a comfy outfit. This ensemble is complemented really well with black rain boots.